How Does Smoking Make Acne Worse? Does Your Face Break Out When You Become Pregnant? Can Certain Foods Cause Acne Breakouts? You might consider acne to be a teen problem, but the condition can persist. An estimated 80 percent of people ages 11 to 30 develop acne at some point, though some people's skin breaks out even in their 40s and 50s, notes the U.S. Food and Drug Administration. Despite the theory that some foods, such as chocolate, pizza or potato chips, can trigger acne, the root of the problem is more biological than nutritional. During your teens, your mom might have warned that indulging in greasy foods could cause pimple problems. However, the FDA says there's no scientific evidence to support the idea that outbreaks are caused by foods. Acne is the result of overproduction of oil in the glands under your skin, as well as an accumulation of oil, dead skin cells and bacteria, all of which inflame your pores. Hormones and genetics play a role, too, the FDA says. Avoid clogging your pores. For example, after exercising, wash your face so the dried sweat doesn’t worsen acne. However, washing your face too much can make breakouts worse by drying out skin and irritating existing blemishes. Hair spray and certain other hair products also can cause acne, so keep them away from your face, chest and upper back -- areas where acne is most likely to develop. Rather than changing your diet to treat acne, talk to your doctor about the best method, depending on how severe your acne is. Effective treatments for acne include topical over-the-counter medications containing ingredients such as benzoyl peroxide, resorcinol, salicylic acid and sulfur, according to the FDA. For more severe problems, your doctor or dermatologist might prescribe topical or oral treatments, such as antibiotics, higher-strength benzoyl peroxide, azelaic acid, dapsone or retinoids, a vitamin A derivative. Your diet might not cause acne, but it can play a role in your skin's overall health. Health.com notes that certain eating patterns might leave your skin healthier than others. For example, the Mediterranean diet is full of foods -- fatty fish, leafy greens and olive oil -- that can help protect skin against melanoma, a deadly form of skin cancer. 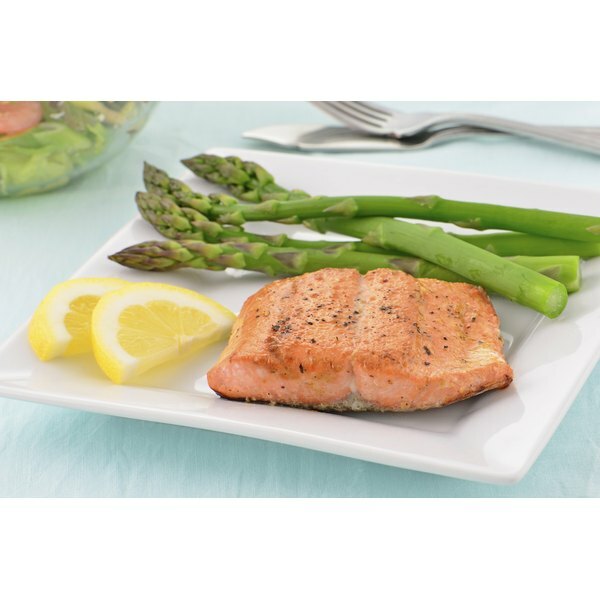 The omega-3 fatty acids in fish also keep skin-cell membranes elastic. On the other hand, a diet too high in animal fat promotes production of free radicals, which can age your skin, notes dermatologist Lisa Airan on Health.com, and a diet too low in fat can leave your skin dry. KidsHealth: Can I Prevent Acne? Do Sunflower Seeds Cause Pimples?